It’s the colour of choice for Roman Emperors, rock stars Prince and Jimi Hendrix, and, of course, wraps the most delicious Quality Street in the tin. Now purple can add Pantone Colour of the Year 2018 to its rich résumé of accolades. 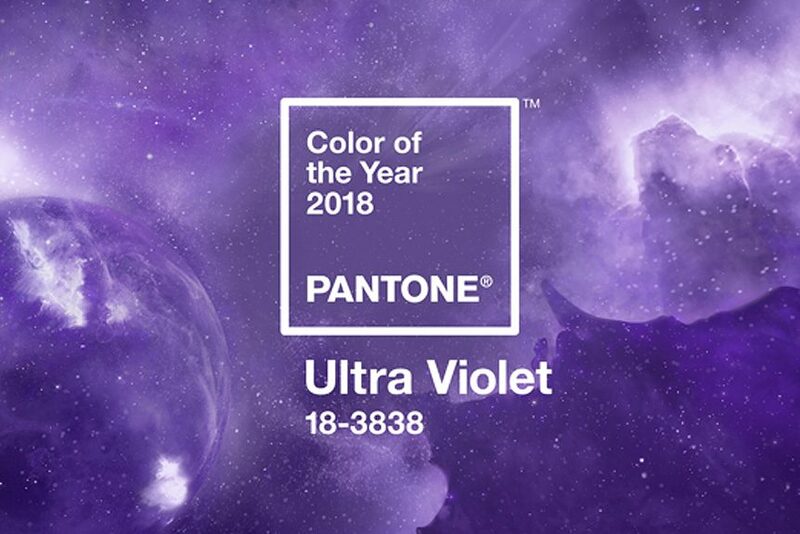 Pantone, the global authority on colour, selected the hue – Ultra Violet 18-3838 to be precise – as it is “an enigmatic shade that evokes the inventive spirit and imaginative thinking that challenges the status quo”. In explaining this year’s choice, Pantone point to purple’s association with counterculture, unconventionality and artistic expression, noting that musical icons including David Bowie, Prince, and Jimi Hendrix all brought shades of Ultra Violet to the forefront of western pop culture. Commentators often read political significance into the Colour of the Year choice. Last year’s hue – Greenery – spoke of economic vitality and environmental sustainability whilst in Pantone’s choice of two colours in 2016 (a pink and a blue) some saw a nod to evolving attitudes to gender identity. Whilst on the UK’s political spectrum purple might be most commonly associated with UKIP, in the USA it is the colour of bipartisanship (blending Democrat blue and Republican red) – fittingly purple featured strongly in the outfit worn by Hillary Clinton as she delivered her concession speech. Rumours that Tangerine Tango – 2012 Pantone Colour of the Year – was probably going to be awarded the honour again in 2018 but decided to pass as ‘probably is no good’ are unsubstantiated.